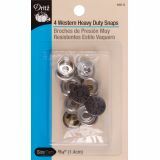 Heavy-Duty Western Snaps - DRITZ-Heavy duty western snaps for jackets, coats, ski wear, and boat covers. 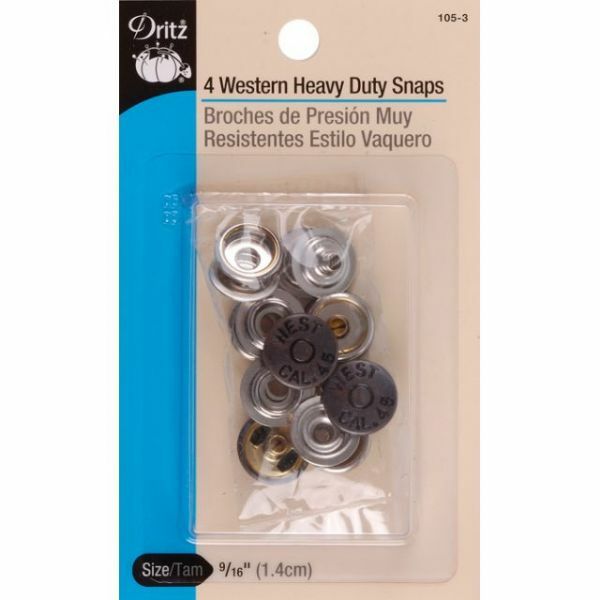 Can be used on reversible garments. Must be applied with Dritz Snap-A-Plier. Size: 9/16. Includes 4 per package.